Today, after breakfast at your hotel, join your group for the IABS Convention. Today, it’s the National Men’s Quartets and the National Ladies Quartets competing for the National Championship of Ireland. This evening, aftyer dinner, is the “entertainment” competition (open to all quartets and choruses) which is adjudicated by a celebrity panel. An Afterglow will follow the show. Today, after breakfast at your hotel, rejoin the IABS Convention. Today, we will have National and International Chorus competition as well as International Male and Females Quartets. After dinner will be a Gala Winner’s Show followed by a late night Afterglow. This morning after breakfast, we will attend a singing Mass at a local cathedral. Then we depart Ennis and take a 20-minute ferry ride across the River Shannon estuary. We continue on to the village of Listowel and visit the Listowel Cultural Centre. Learn about five of County Kerry’s most highly regarded writers - John B. Keane, Bryan MacMahon, Maurice Walsh, George Fitzmaurice, and Brendan Kennelly. Then we drive south to Killarney, check into our hotel, and enjoy the balance of the afternoon at leisure. You may like to visit the Franciscan Friary with superb stained glass windows or the Transport Museum containing a fine collection of vintage cars. 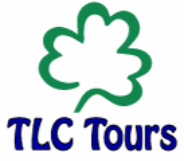 You may like to take a walk to Ross Castle on the shores of Lough Leane or take a jaunting car ride to Muckross House. Tonight join your fellow travelers for dinner in the hotel restaurant. Tonight we are free to pub crawl! Today, after breakfast, explore the Ring of Kerry - 100 miles of marvelous scenery consisting of the highest peaks in Ireland on one side and a coastline scattered with golden beaches and rocky headlands on the other. You will enjoy plenty of stops to admire the incredible views. But first, we will visit St. Mary’s Catholic Cathedral with its soaring spire; where we will have permission to sing and experience the fantastic acoustics. Next, we travel through Caherdaniel and Waterville at the western end of the peninsula and enjoy the bracing Atlantic breezes. Continue your drive through the colorful village of Sneem and onto Kenmare for a visit to the Kissane Sheep Farm, a traditional working sheep farm run by John and Anne Kissane. Learn about sheep farming practices and see how the farmer herds his flocks. Return to Killarney in time to freshen up before dinner with your group. Depart Cork and drive north towards Dublin, today. Travel through the rich dairy country of Cork and Tipperary, past the gentle slopes of the Galtee Mountains and stop at the Rock of Cashel for a guided tour of these majestic church ruins which are clustered high on a limestone outcrop overlooking the surrounding countryside. Of particular note are the highly decorated Cormac’s Chapel which was built during the 12th century, the large cruciform cathedral from the 13th century and a round tower. Before leaving Cashel, stop at a local farmhouse to sample freshly-baked scones with tea. Continue your journey though the midland region where you will see many farms and marketing towns. Your route will take you past the towns of Portlaoise and Kildare and into the metropolitan area of Dublin. Upon arrival check into your hotel and freshen up before joining your group for dinner. This evening, drive to the town of Rathfarnham to Taylors Three Rock for dinner followed by a lively show of traditional Irish songs, dancing and music. Set off with a local guide who will show you around the prominent historic buildings and monuments of Dublin. Dublin is an ancient settlement, founded by the Vikings in the 9th century. The city has been molded through the centuries with many architectural styles, reflecting the economic, political and artistic influences. Stop to tour St. Patrick’s Cathedral, which is almost as old as the city itself and famous for its connections with the brilliantly eccentric Dean Jonathan Swift. Next, visit the Old Jameson Distillery where you can learn about distillation processes for this “water of life”. Displays explain how barley and water are combined, distilled, aged and bottled. At the end of the tour enjoy a sample of the famous drink. After your visit return to your hotel, where the afternoon is free for sightseeing, and shopping,. Tonight, after dinner on our own, we hope host a sing-song with our IABS friends from Dublin. This morning, after breakfast at your hotel, depart Dublin and motor through the fertile midland region, which has many farms and marketing towns. All along the way you can see how Irish people make a living from agriculture, one of the most important sources of revenue for Ireland. Drive through the city of Limerick, strategically situated on the River Shannon and on to the village of Bunratty. Visit the Bunratty Folk Park, which comprises a collection of farmhouses from different regions of Ireland and a 19th century village street with a pub, school, general store and many other buildings where traditional lifestyles and crafts are demonstrated. Then check into your hotel where you will have some free time in the afternoon. You may choose to relax or explore some of the other attractions near your hotel. This evening, join in the fun and feasting at and Irish Castle. Your medieval-style banquet is served in the Great Hall of the 15th century castle during which the lords and ladies of the castle transport you in spirit to the Middle Ages with their songs and stories. All Events Registration NOT included.